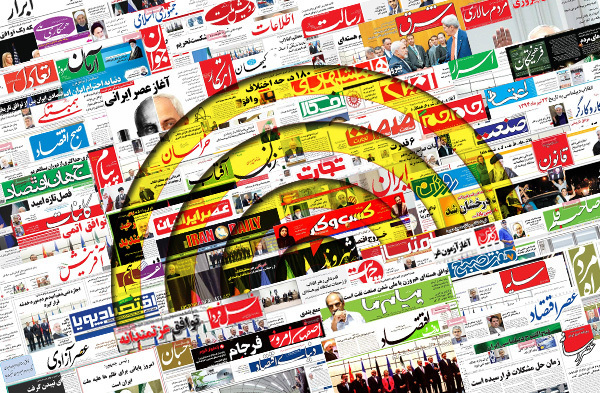 IFP has taken a look at the front pages of Iranian newspapers on Monday and picked headlines from 25 of them. IFP has simply translated the headlines and does not vouch for their accuracy. Newspapers on Monday covered the ongoing operation by the Iraqi army and US-led coalition to retake the ISIS-held city of Mosul. Another top story was the remarks made by the US Secretary of State John Kerry in an interview with Foreign Affairs. Kerry in this interview claimed that Iran’s support for the Resistance has hindered the implementation of the nuclear deal between Tehran and world powers. A motion by the Iranian Parliament to restrict the authority of Guardian Council also received great coverage. If passed into a law, the motion can prevent the Guardian Council from disqualifying candidates after the elections. 1- Culture Minister Breaks His Silence; Resign or Dismissal? Minister: Wait for a Few Days! 1- Kerry: Iran’s “Behaviour” Impedes Moving Forward with JCPOA! 3- Erdogan: We Won’t Leave the People of Mosul Alone! 1- People’s Pockets Laugh at Rouhani Government’s Claim of 9% Inflation Rate!